Description: This is my first attempt at a planted aquarium. I use organic carbon and aquarium plant food. Lighting is two 20w flourescent bulbs. 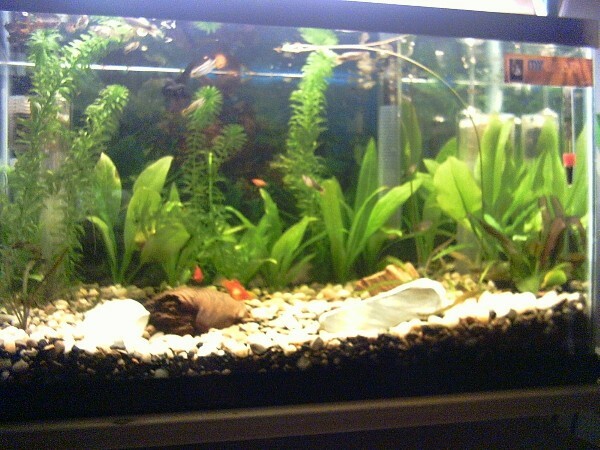 Its stocked with about 8 guppies, 1 moor, 4 platys, 1 ghost shrimp and a golden algae eater. YES...I keep an eye on my parameters...lol.